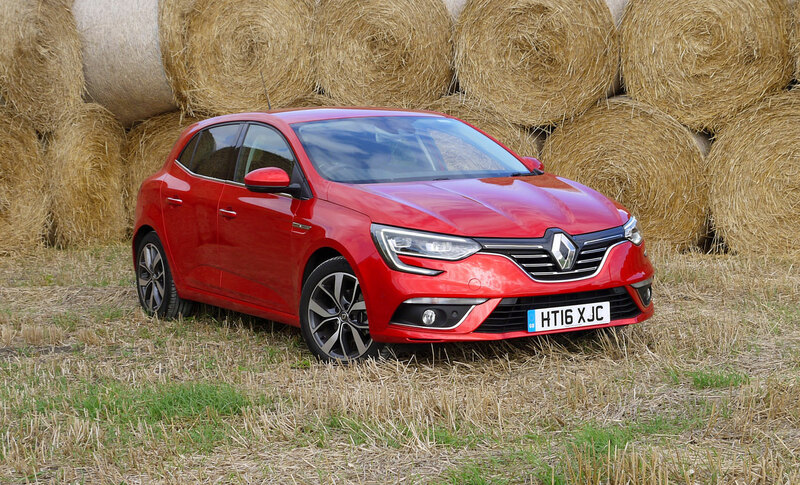 The previous edition of the Renault Mégane was such an unremarkable shape that it’s tough to bring it to mind when looking at the new one. The French manufacturer has clearly worked a lot harder to make the new model distinctive, although it might have gone a bit too far. The basic shape is solid enough and deserves some applause. 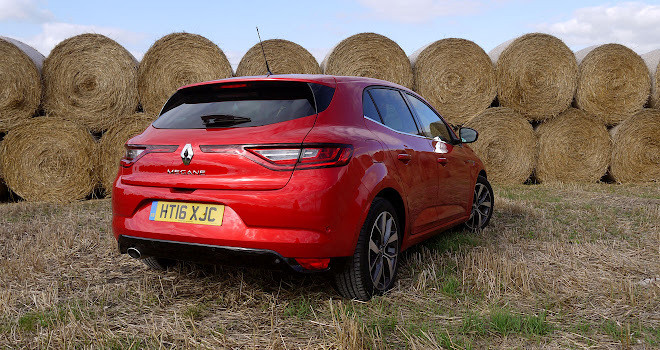 The horizontal window line is very in-vogue, suggesting quiet confidence (wedgy lines try far too hard), and the distinct haunch over the rear wheels (shared with the current Renault Clio) lends a bit of muscle – even if it does tell fibs about which axle might be powered. 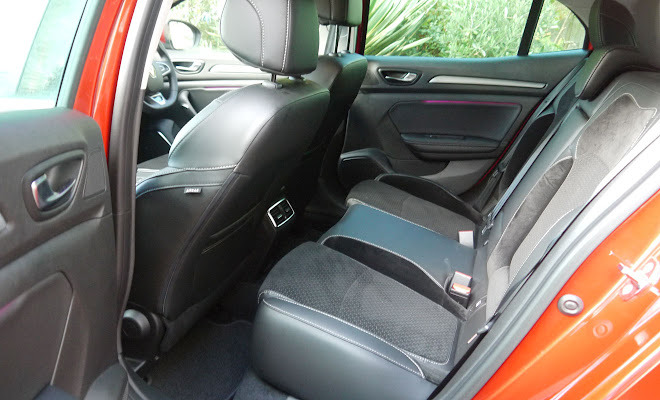 The light-catching curve at the base of the doors slims the body without being as heavy handed as the slabs of black plastic decorating the equivalent spot on Renault’s Kadjar and Captur crossovers. There are also some crisp creases and curves adding interest and strength to the bonnet. But it’s the lamps that let the side down, not seeming to know when to stop. The rear clusters march inward over the bootlid until they cradle the rear diamond badge, while the daylight running lights at the front curve away and under the main lamps like semi-detached false eyelashes at the end of a long night. 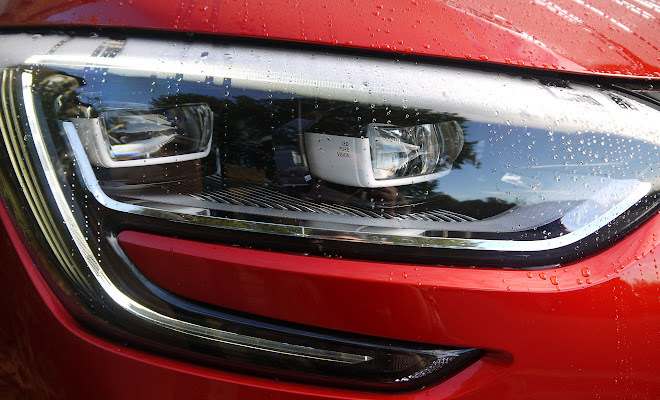 As a result of these lighting quirks, there’s no mistaking the new Renault in your rear view mirror, or when following close behind one at night. Whether these signature flourishes add or subtract from the Mégane’s appeal is less obvious. The small sample of the public I consulted thought the lights looked a bit mad. Inside, too, there’s a similar sense of having romped merrily over the top. Once above the base trim level you’ll find no less than five driving modes to choose from, each of which brings a new colour scheme to the car’s bright digital displays and interior mood lighting, as well as tweaking the car’s various settings. There’s red for Sport (obviously), blue for Comfort, green for Eco, grey for Neutral, and purple (yes purple) for the “Perso” setting that you can customise if none of the other four suits your mood. And it’s not a quiet sort of classy violet, it’s the kind of purple only Prince might have thought not quite purple enough. 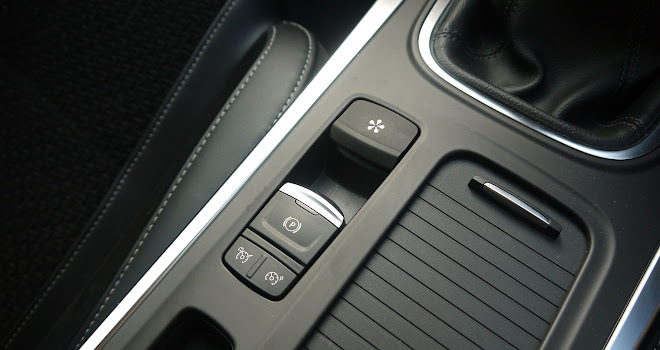 A button that lets you quickly flip between modes, labelled with a petal pattern and found down by the handbrake on the central console, seems determined to rein in some of this excess. Press it and it will switch backwards and forwards only between Sport and Comfort modes – you’ll need to prod the touchscreen to choose among the others. The base Expression+ trim level doesn’t feature a touchscreen, but there’s a seven-inch landscape screen if you trade up to the Dynamic Nav edition, and a bright 8.7-inch portrait touchscreen in the Dynamic S Nav version or above. 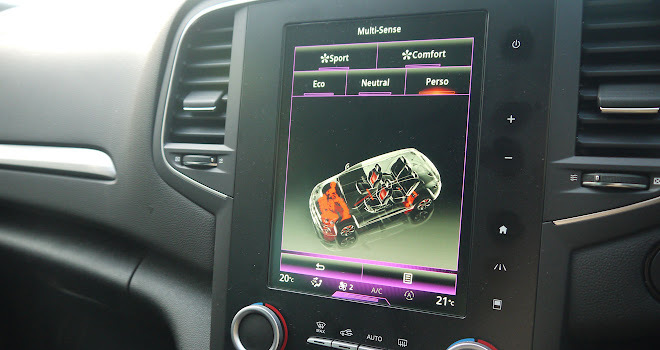 The bigger screen was a real high point of the car I tried, with bright, crisp graphics and an impressively speedy ability to switch functions from satnav to radio to controls or to settings. It’s also big enough to show three of these options at the same time if you wish, or to devote the whole screen to showing lists of digital stations or a helpful chunk of map that you can pinch and swipe to adjust. You can also set up alternative home screens showing your choice of information. It’s not perfect. Some of the visual design choices aren’t entirely logical – red is used to highlight the active option, for example, which is a bit of a user-experience blunder, given that it’s the colour of no not yes. But full marks to the screen for switching itself on smartly – unlike the similar portrait screen in the new Volvo V90, for example. 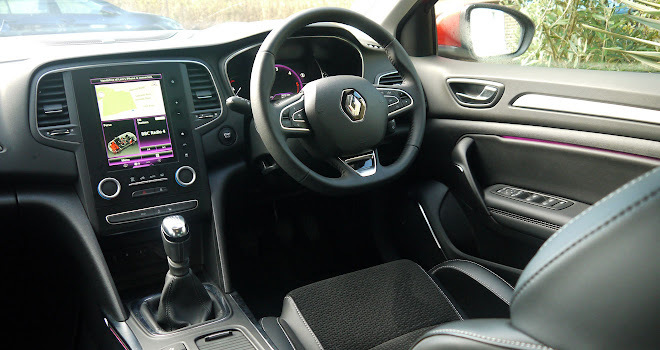 Whereas the Volvo system clearly shuts down and must boot up again from cold for every new journey, the Renault software evidently hibernates between sessions and so springs back to life more readily. This is a boon when you need to quickly plug in a satnav destination and hit the road. 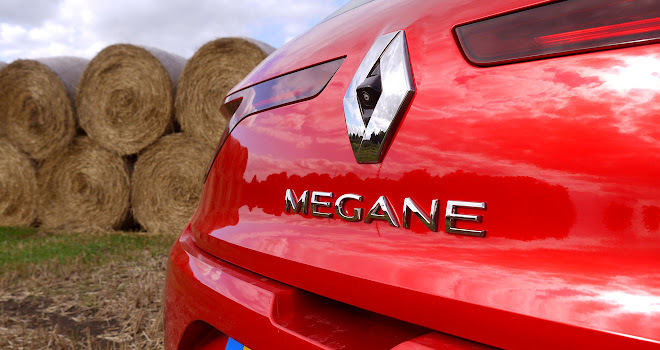 Another feature I liked a lot was the Mégane’s full-time use of its adaptive cruise control sensor – built into the giant Renault logo on its nose – to tell you how closely you’re following the car in front. If you’ve heard the advice that “only a fool breaks the two second rule” the Mégane will help you observe it, with a little graphic on the digital instrument panel that glows green, amber or red according to whether the gap you’ve left to the car in front is more, less or a lot less than two seconds. It also provides the exact timing next to the image. While this little info snippet is unlikely to deter seasoned tailgaters, it’s a handy reminder to the rest of us to maintain a safe distance. I certainly found myself dropping back from amber into green a few times on the motorway, at the instrument panel’s suggestion. On longer journeys the Mégane proved a refined and pleasant high-speed cruiser, with very little wind or tyre roar to intrude. It also has good seats. I drove for a couple of hundred miles straight and emerged without a kink at my destination. One wrinkle is that I was initially stumped about how to switch on the cruise control. Having prodded every button on the wheel to no avail, I subsequently realised the system is armed using a little rocker switch next to the handbrake flap, and only adjusted with the wheel-mounted buttons. Again, not the most intuitive piece of design, but fine once you’ve got the hang of it. The Mégane did not turn out to be the most soothing place to spend time when it rains. 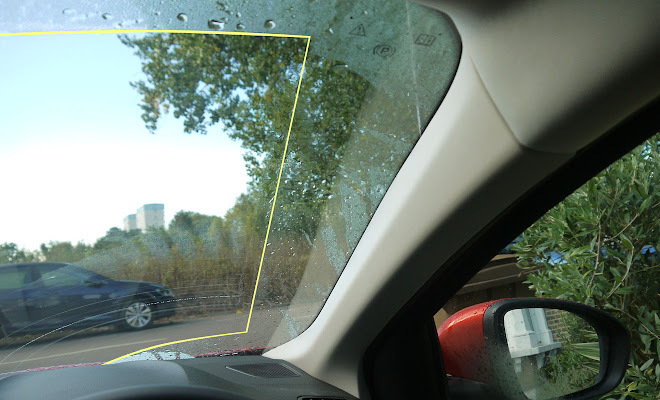 The wiper pattern on my car stopped a very lazy six inches from the offside screen pillar, creating a massive area of poor visibility right in front of the driver (I’ve marked out the wiped area in yellow below). I can’t help wondering if the car’s native, left-hand-drive wipers might work a bit more keenly. The Mégane I sampled came in Dynamic S Nav trim with a dCi 110 diesel engine and six-speed manual gearbox. This provides a peak of 110 horsepower and 260Nm of torque, sufficient to propel the Mégane to 62mph in 11.3 seconds. There are some of the usual diesel groans and grumbles, but mostly it’s a quiet and obliging engine, mated to a pleasantly positive gearbox. 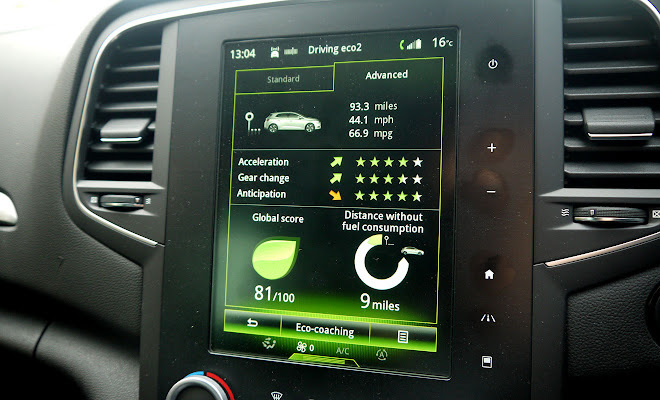 The combination I tried comes with a 98g/km CO2 rating and I saw consumption of 66.9 miles per gallon on a 100-mile road test conducted in Eco mode, following the car’s own gear-shift hints as far as possible. The Dynamic S Nav version pictured costs £20,400 before options. Extra cost items included £500 spent on swanky full-LED headlamps, £625 on sparkly paint, £500 on all-round parking sensors, £500 on a Bose sound system, and £400 on a safety pack that provided adaptive cruise control, automated emergency braking and the two-second distance warning discussed above. I would argue that the safety pack counts as £400 well spent. 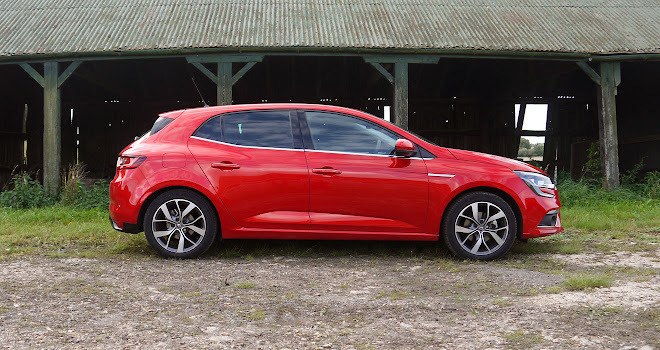 Overall I found the new Mégane an impressive performer with lots of techie options and a comfortable, quiet interior. It’s not nearly as anonymous as the last Mégane but then again, some of its styling flourishes may not be to everyone’s liking.